Aviation Updates Philippines - Another unfortunate day for the aviation industry. Lion Air flight JT-610, a Boeing 737 MAX 8 with registry PK-LQP, crashed into the Java Sea after taking off from Jakarta airport runway 25L at around 6:20am (Western Indonesian Time UTC+0700) on Monday. PART OF THE TAIL FIN FOUND. Rescuers have found aircraft debris off the coast of West Java on Monday. Photo from Basarnas. The flight was en route to Pangkal Pinang, Indonesia with 181 passengers and 7 crew members. 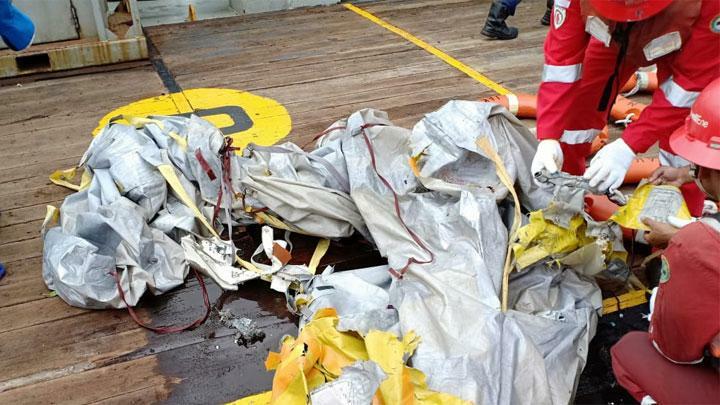 It lost contact 13 minutes after take-off at around 35 nautical miles northeast of Jakarta. The aircraft stopped its climb and reached a maximum altitude of 5,400 feet before losing height. According to The Aviation Herald, the Indonesian Civil Aviation Authority reported that the crew requested to return to the airport during climb. Lion Air said that the aircraft experienced technical problems while airborne. Unverified reports state that the aircraft involved also encountered technical problems on its previous flight, but it was supposedly fixed. Data from FlightRadar24.com, in addition, reveal that the aircraft remained overnight for 8 hours before being deployed for its flight to Pangkal Pinang. 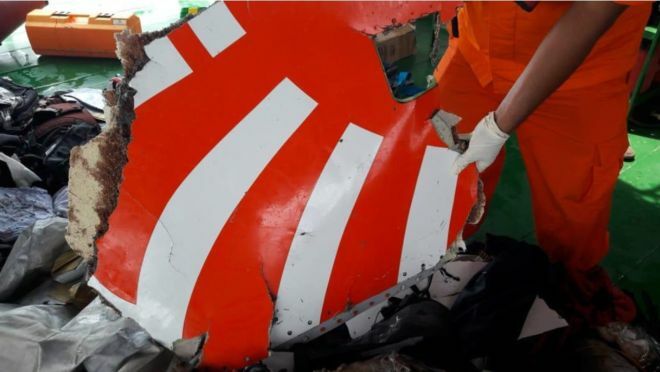 In a report from CNN, Lion Air president Edward Sirait defended the airline as he stressed that the Boeing 737 MAX 8 which crashed on Monday was airworthy and fit to fly. The pilot had carried out the standard pre-flight inspection and checklist prior to departure. The 737 MAX series is Boeing's newest aircraft offering for the single-aisle narrow-body market. It is currently the world's best selling aircraft in its category. It is the first crash for this new aircraft type since its release 18 months ago. PK-LQP is less than three months old. It was delivered to Lion Air on August 15 and received airworthiness certification on the same day. Lion Air said that not any of its MAX 8 fleet suffered the same problem, and it does not have plans to ground its fleet. 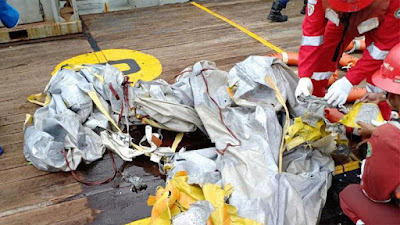 National Search and Rescue Agency Republic of Indonesia (Basarnas) is currently spearheading the search and rescue operations for the sunken jet aircraft and its missing passengers. Although the agency confirmed body parts and aircraft debris were already found, relatives and friends of those on-board remain hopeful for possible survivors. SEARCH AND RESCUE ON-GOING. Basarnas is continuously conducting rescue efforts to find more debris and to locate the passengers and crew of the flight. Photo from HO-Pertamina. As per reports, aircraft debris, buoys, and electronic gadgets, allegedly belonging to the passengers of the flight, were found two nautical miles from where the last radar contact was established. There have already been attempts to dive the area where the aircraft is believed to submerged 30-35 meters below the surface. The agency said that the reason for the crash is yet to be determined and remains unclear as of the moment. No speculations will be made unless the black box and the cockpit voice recorder is recovered at the soonest time possible. Let us pray for the souls who lost their lives in Lion Air flight 610.